At 3:10 am, in the middle of the night, start Philipp Reiter David Wallman Bernhard Hug, Janelle Smiley & amp; Mark Smiley makes her trek up to Mt. 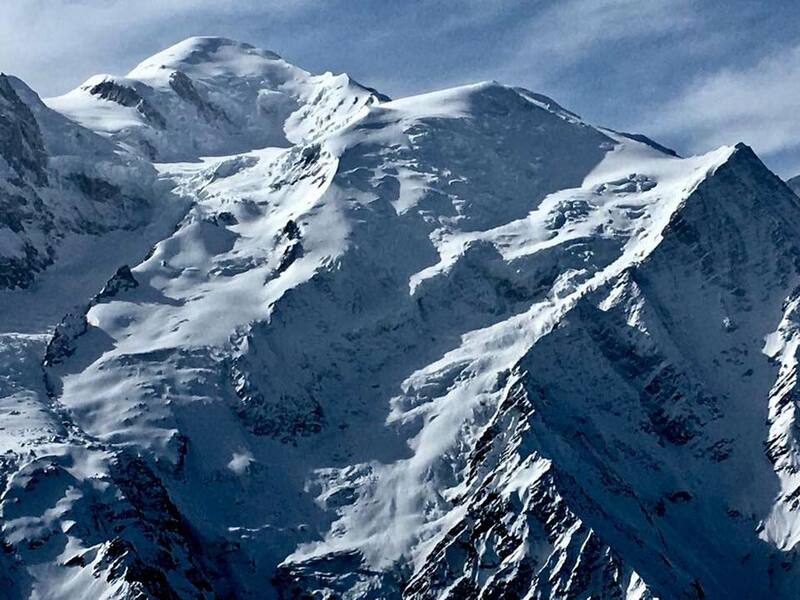 Blanc. They are in the company of Bertrand, who was 103 times up there with his clients, but never from bottom to top to the summit with skiing in winter. 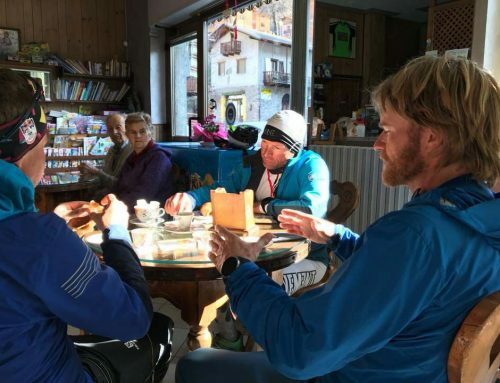 The team arrived at Grand Mulet (3057) at 08:00. 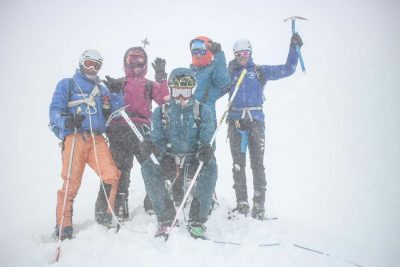 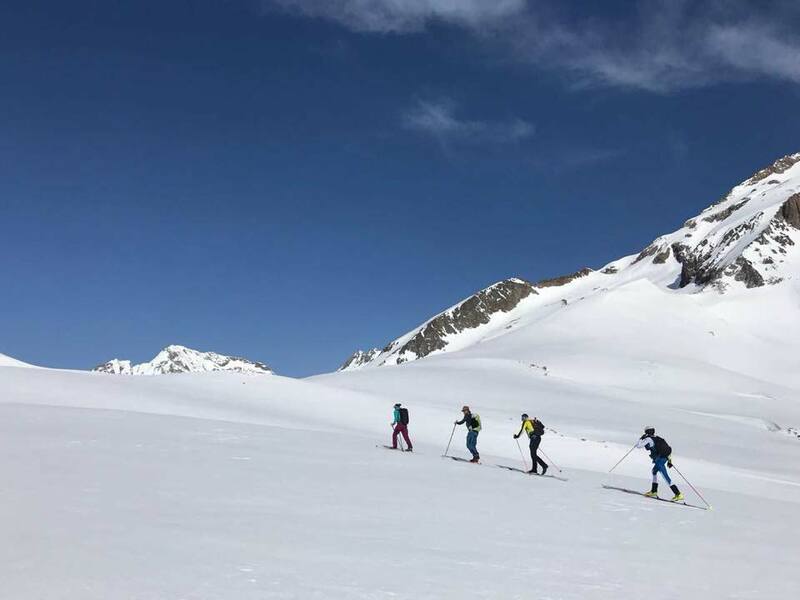 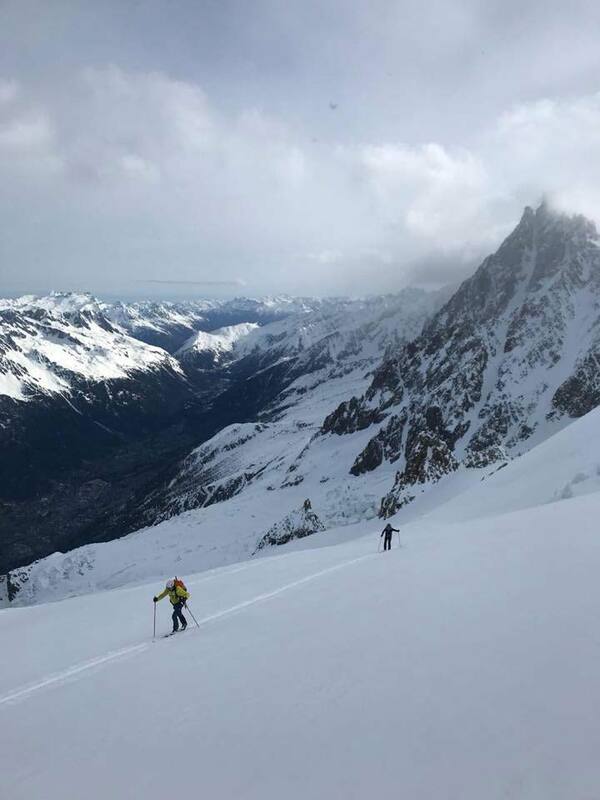 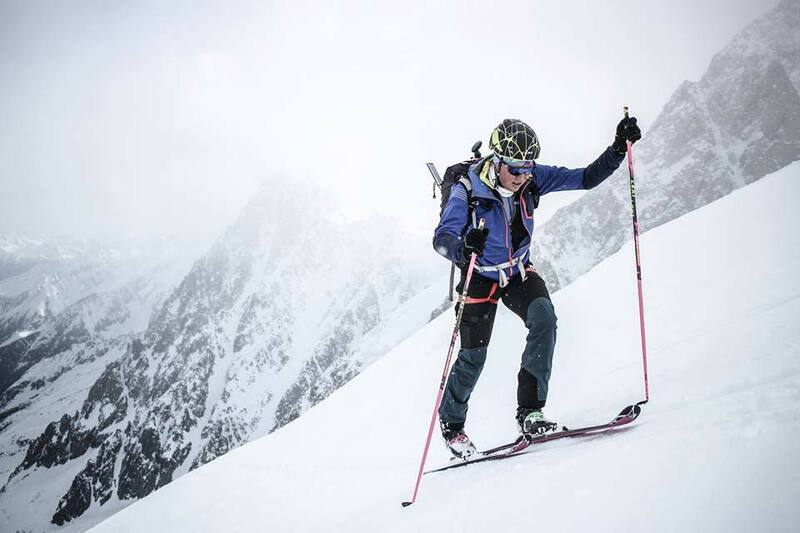 The weather did not go along: less than a hundred meters below the summit, the Red Bull Der Lange Weg athletes had to break off the climb to Mont Blanc on Saturday and turn back to Courmayeur. 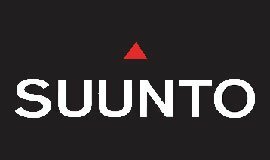 Bernhard Hug (SUI), David Wallmann (AUT), Philipp Reiter (GER) and Janelle and Mark Smiley (USA) had tried to climb the highest mountain of the Alps from Chamonix (4810 meters). 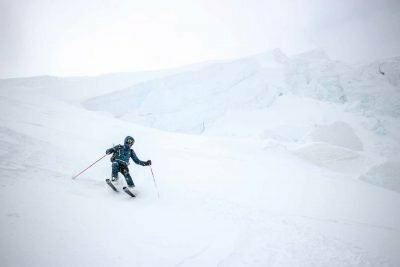 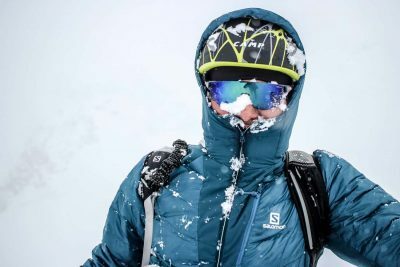 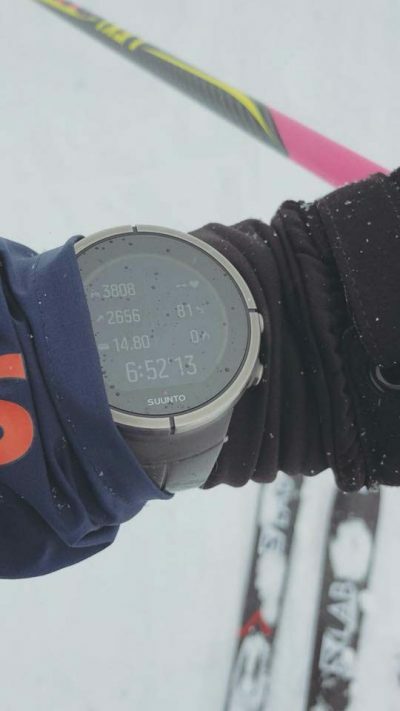 On the 29th day of her ski tour from Vienna across the Alps to Nice, the visibility was too bad and the wind too strong to risk the summit ascent. 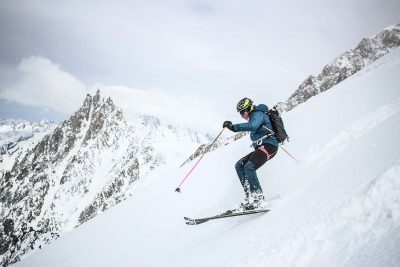 The day before the Mont Blanc ascent, the team marched only a short distance and used the time to rest, plan and visit the Società Guide Alpine Courmayeur, the second oldest mountain guide office in the world. President Giulio Signó gave them some valuable tips for climbing the Mont Blanc. 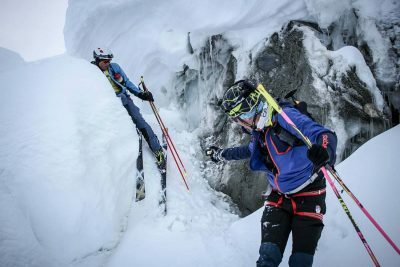 “We started very early in good weather. 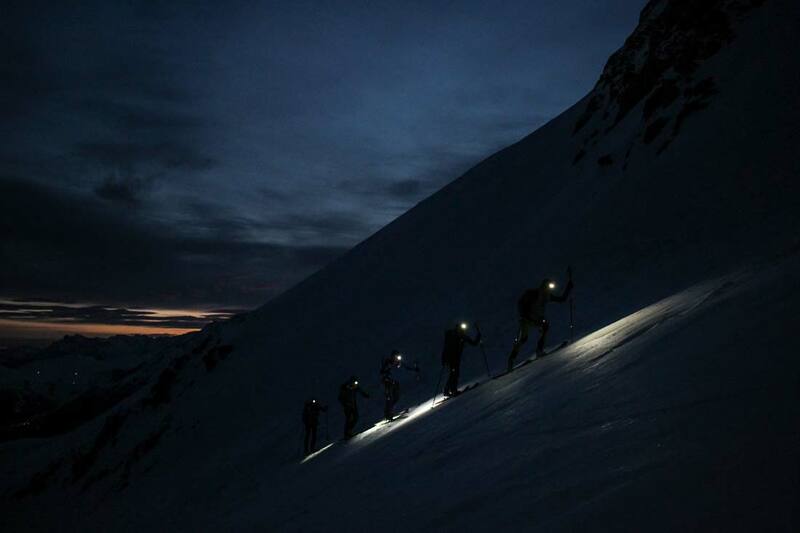 In the morning sunshine prevailed first. 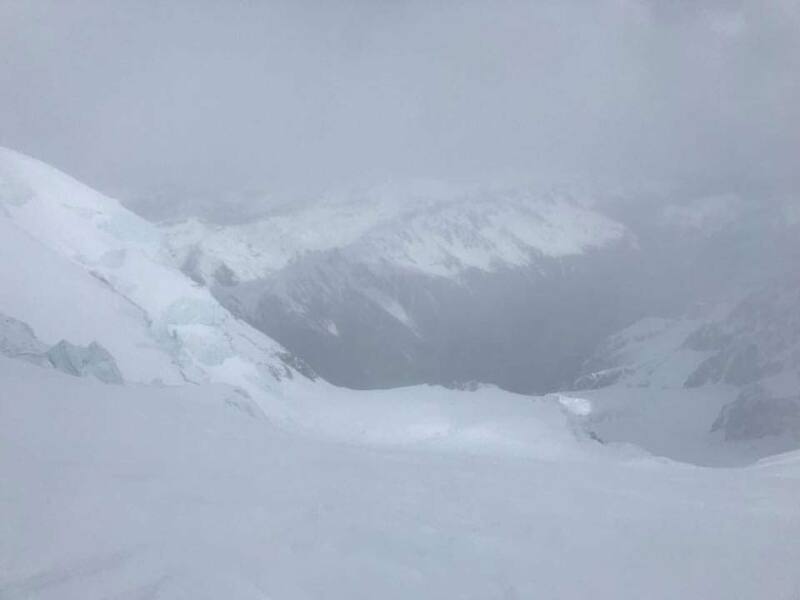 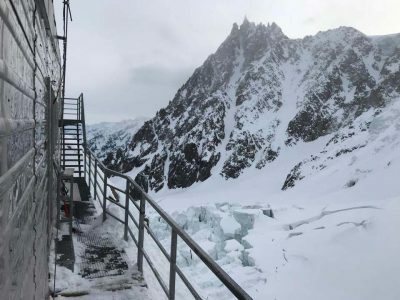 When we reached 3000 meters, it started to snow and began to snow, “says David Wallmann, who was struggling with frostbite. On the slopes of the Dôme du Goûter, fresh Serac eruptions lay above the ascent. From the Vallot bivouac box (4362 m) strong wind set in and the further ascent in dense fog was only possible with crampons. 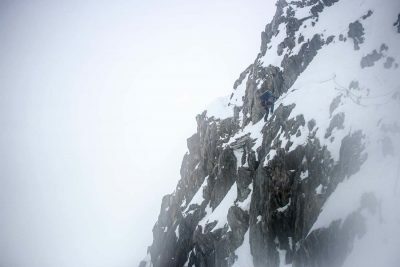 The poor visibility made it difficult to find the route, as Bernhard Hug describes: “It was almost impossible to find the right route. On such a ridge you have to walk very carefully, and we took two to three times as long as normal to push forward. “A snowboard was triggered, which led to the decision to reverse 100 meters below the summit. 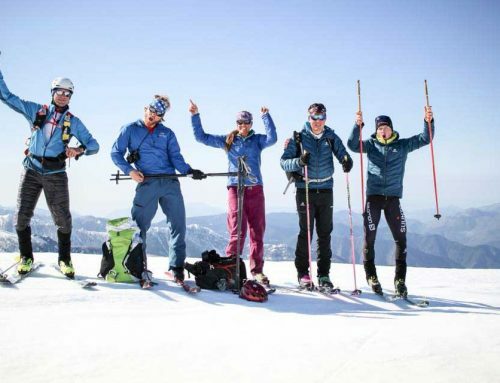 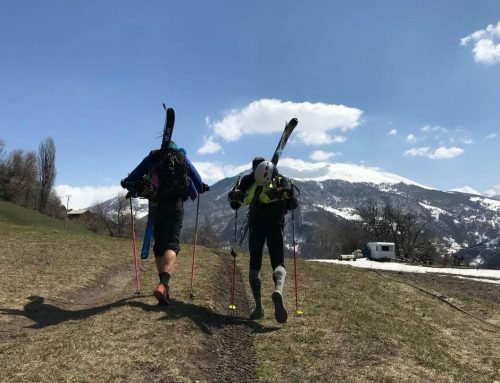 For the participants of the longest ski tour in the world the highest mountains are now over and it goes further south into the Western Alps. 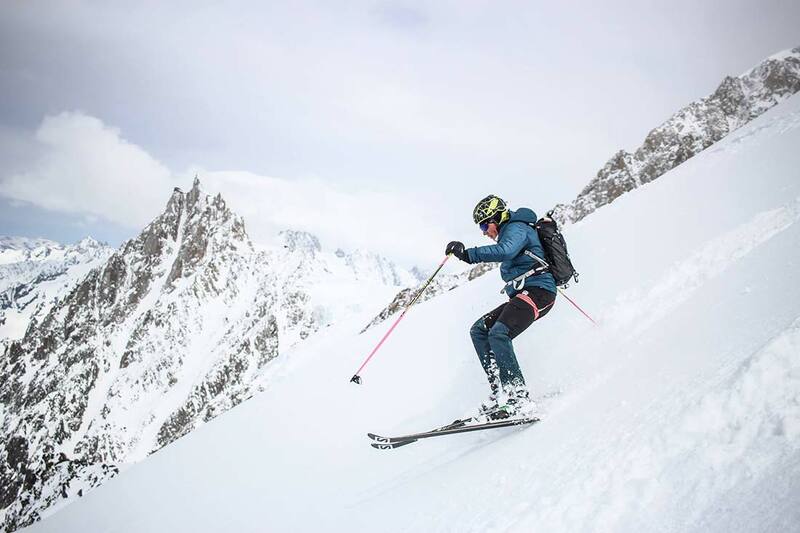 Above all, many passes have to be overcome. 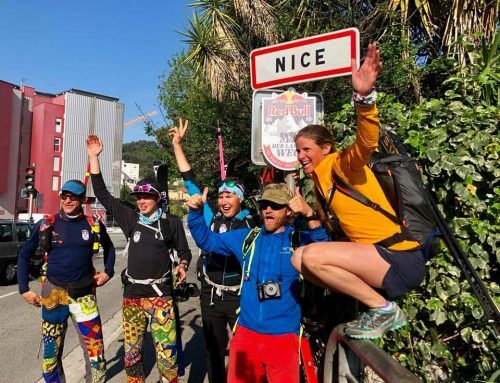 The team hopes for a sunny day and is confident that they will be able to complete the task, because now it’s time to head to Nice!